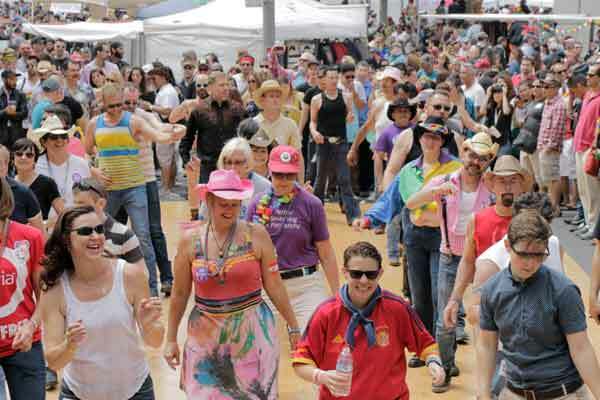 Country-western dancing for the LGBT community and its friends. We welcome everyone! You'll find a friendly and diverse crowd: men, women, trans, young, old, gay, and straight friends of the LGBT community. Don't know how to dance? No worries: we'll teach you – no partner needed! Our huge country-western dance extravganza, featuring four nights of dance parties, three days of dance workshops, and hundreds of attendees from all over the country (and beyond). 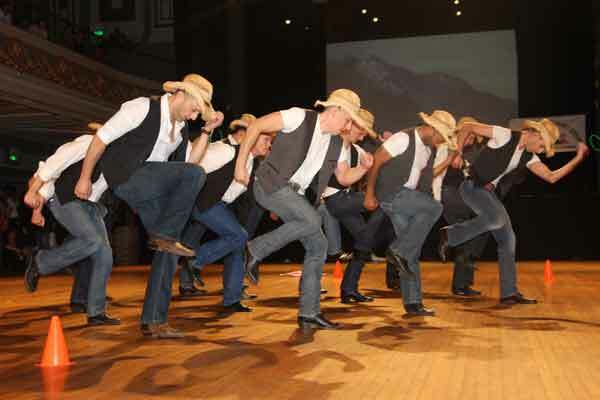 The Sundance Association for Country-Western Dancing is the all-volunteer community-supported 501c3 nonprofit organization that runs Sundance Saloon, the Sundance Stompede, and our many other projects. Thanks to the 110 unique donors who contributed a total of $1860 to the Sundance Association on Give OUT Day, April 18. Monetary awards will be given to the nonprofits with the largest number of donors. Whether we qualify for an award or not, we can be proud of the way our community came together to support this day of giving. 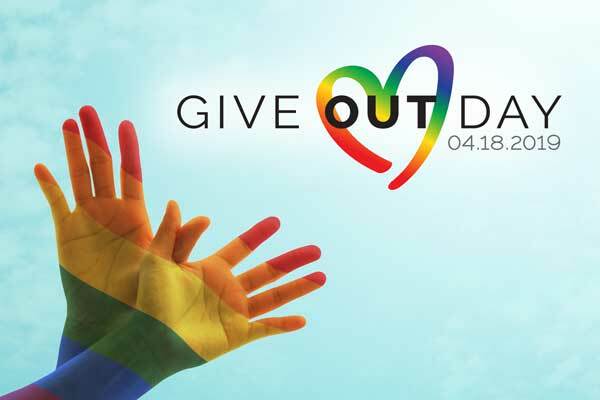 Give OUT Day is the annual national day of giving for the LGBTQ community, sponsored by the Horizons Foundation. Preliminary figures show over $830,000 raised for LGBTQ charities nationwide on this day. 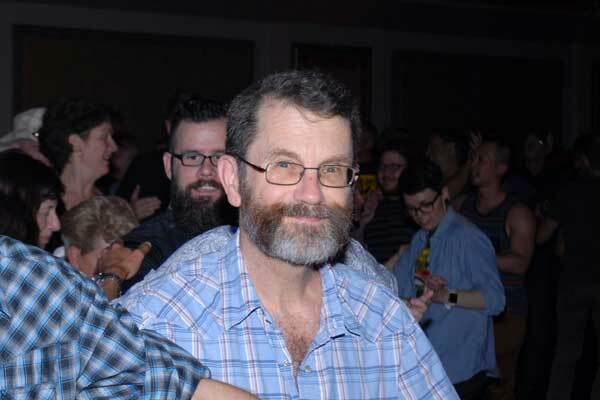 Lee Fox has been teaching ballroom, latin, and swing dancing for over 40 years and CW dancing for over 25 years. He was a finalist in ballroom at the 1998 and 2002 Gay Games and IAGLCWDC champion in 1998. He has judged many times internationally and has been choreographer for numerous dance troupes. He is also the current IAGLCWDC Dance Competition Director. 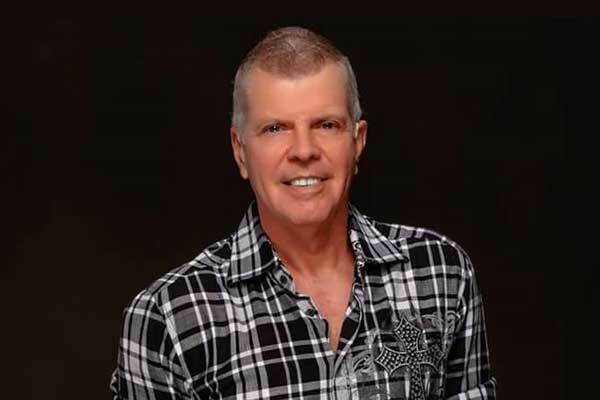 Long-time Sundancer Mario Torrigino is celebrating a milestone birthday (we won't tell you which one), and he's having a party at Sundance Saloon. Admission will be free, courtesy of Mario. Food will be available (currently planning a Chinese buffet), and of course a cake. The night will be otherwise a normai night of lessons and dancing (including guest instructor Lee Fox). We hope you can join us for what promises to be an especially festive Thursday at Sundance Saloon. Help our performance troupe, the Sundance Bandits, raise more funds for costume and travel expenses. This is no ordinary bake sale! Count on a huge array of delicious treats, sweet and savory – arguably the easiest way to spend a few bucks for a good cause. And you can work off the calories dancing! The first Thursday of the month is our Throwback Thursday night. Take a trip down Memory Lane, or expand your appreciation of retro country music, with this tribute to the golden age of country. For the first hour of open dancing (8:00 to 9:00 pm), we'll play some of the great country dance music from the 80s and 90s. Part of the fun is digging up old videos too!. 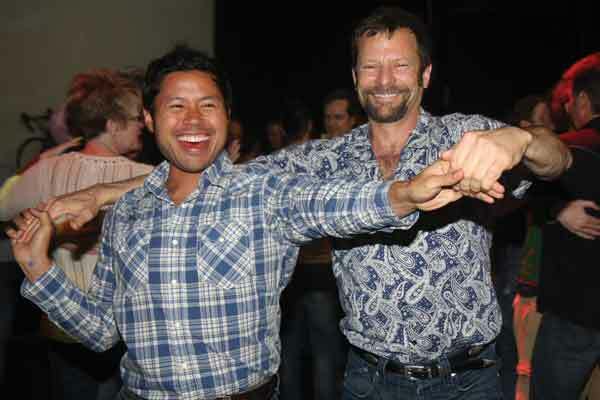 Our Line Dance Pro sessions now include both Sunday and Thursday nights! Line Dance Pro Sundays are in the Back Room. On Thursdays we're upstairs in the Loft. Check the Sundance Saloon instruction calendar for the schedule. 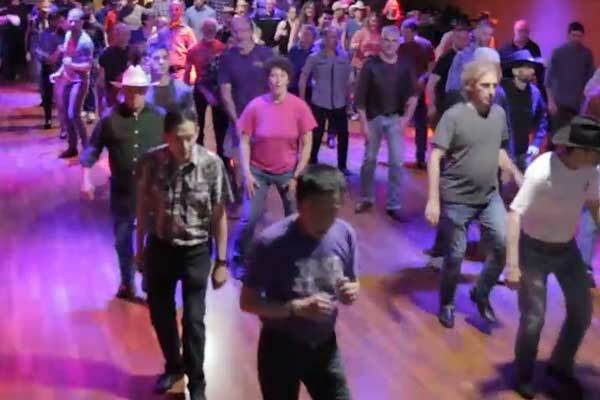 Can't get enough line dancing? 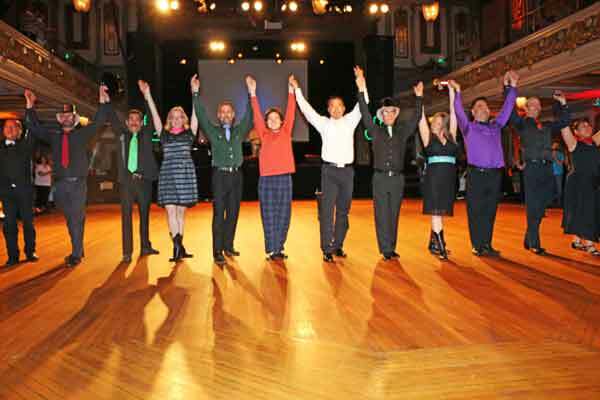 Line Dance Pro is an opportunity to increase your line dance abilities and challenge yourself with new line dances not included in our regular Sundance Saloon repertoire. Plus other events, including the Women's/Trans-Inclusive Social and After-Hours Parties. The highlight of the year! 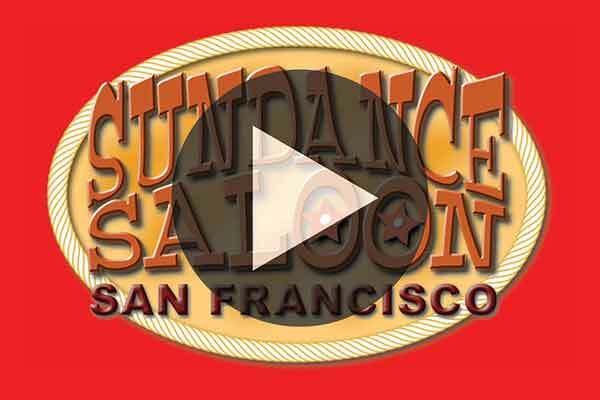 Introducing our own Sundance Saloon internet radio station! Whenever you want a dose of country-western dance music, check out the streaming at Sundance Saloon Radio. Guaranteed to make your day go by faster. Different browsers and devices may do better with different approaches. If the radio player at the bottom of this page does not work for you, try visiting the site of our Radionomy host. And occasionally the service is down, in which case just try again later. The Sundance Association is a 501c3 nonprofit, and we depend on the generosity of the community. There are many ways to support us, and not all of them involve monetary contributions. • Come on down! Support us just by showing up. • Introduce someone new to Sundance Saloon. • Use our coat-check on Sundays. • Put a dollar or two in one of our tip jars. • See if your company offers matching donations or grants for volunteer time served. • Remember Sundance in your estate planning. • If you shop on Amazon, use Amazon Smile instead. • Like and follow us on Facebook. Share our posts. • Encourage beverage sales at Sundance Saloon, especially on Thursdays. • Invite a group to Sundance Saloon. 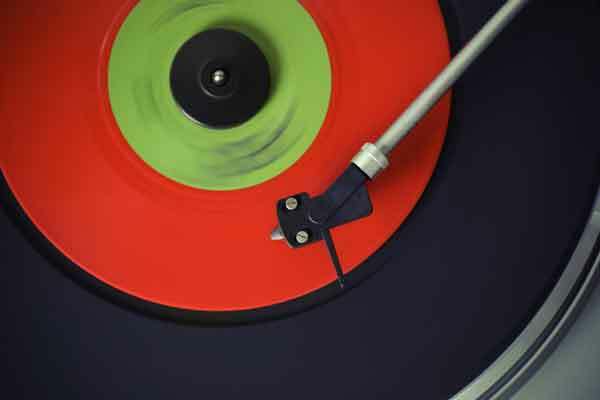 If the radio player doesn't work, try here.